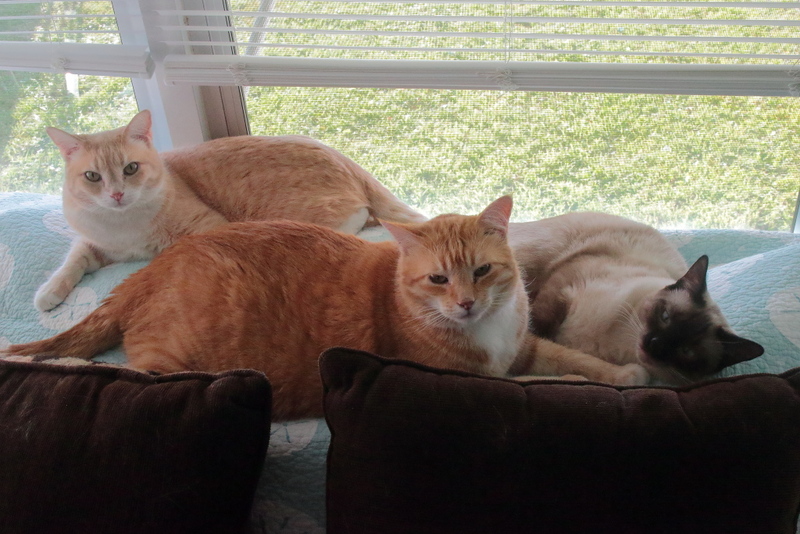 Seeing all four of our cats in one place is a rare event around here. Three is more common but even that happens infrequent enough to warrant a photograph. I guess they have conflicting schedules. For some reason, Puck is usually the odd cat out. This entry was posted in Uncategorized and tagged Cats, cute, portrait on November 10, 2017 by Charles Huss. That’s a great photo of them!! It’s pretty hard to get a group photo around here too. We all have our own spots. I think the fact that Puck is odd cat out is a clue to his litter box problems. What a nice shot! You’d never get all 3 of us in one photo unless it was photoshopped. that is a fabulous capture! !